"So, how about we do the Twelve Dancing Princesses next? That sounds good, right?" "Here's the thing, Steve -- I was thinking about it, and I really think this 500 page Victor Hugo novel about a rapey clergyman's the way to go." - Frollo almost dropping a baby down a well after causing its mother's death. 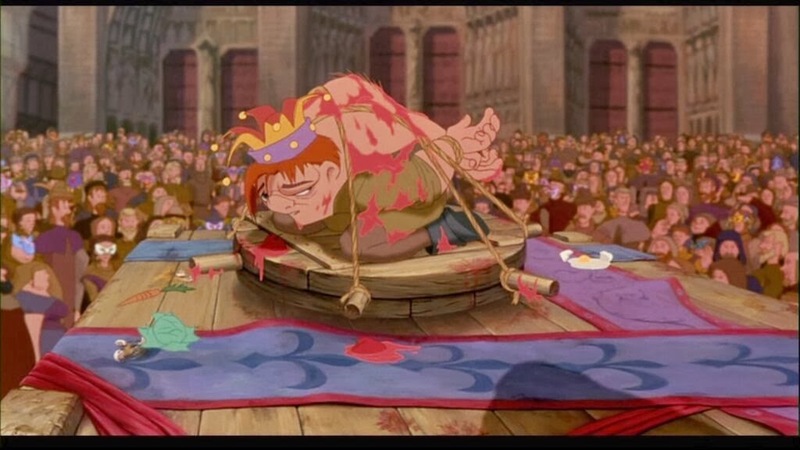 - Quasimodo being angrily pelted with vegetables by a mob after being tied down in the square. 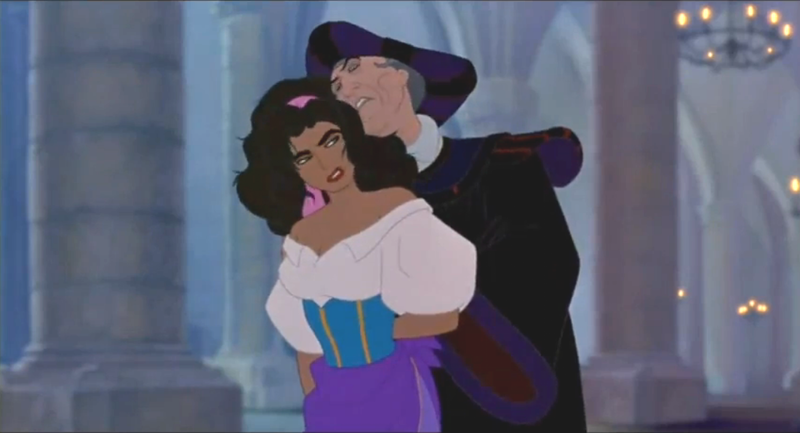 - Frollo setting a house on fire with a family in it. Go home, 1996 Disney. You're drunk.